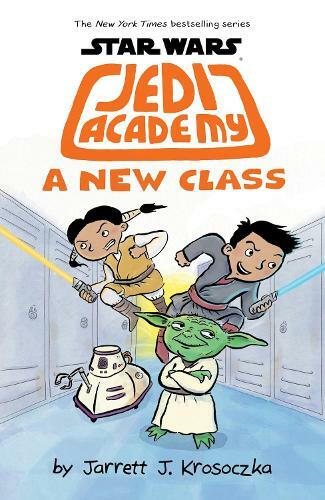 Victor Starspeeder is excited to be starting school at the Jedi Academy. His sister, Christina is NOT, in fact, she's horrified that her annoying brother will be there to cramp her style. Victor lands himself in detention more than he means to, supervised by . Yoda. Yoda tries to channel Victor's talents, forcing him to join the drama club: "Learn to control your anger, you must! Successfully manage their emotions, a good Jedi can. Box step and jazz hands ... hee hee ... young Padawan will!" Victor will have to make new friends, get on his sister's good side, learn to use the force, and hope that this year's drama club performance ("Wookie Side Story"? "Annie Get Your Lightsaber"?) goes off without a hitch!